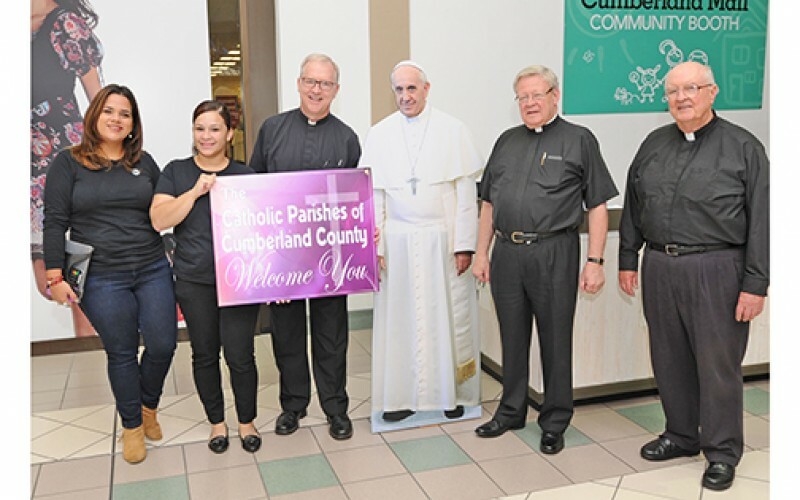 The parishes of Cumberland County used an image of Pope Francis to help start their new initiative, a Mall Ministry at the Cumberland County Mall in Millville, on Sept. 19. 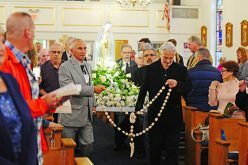 Pictured from left are Ninelly Velazquez, Yokaska Moser, Father Vincent Guest of Holy Cross in Bridgeton, and Msgr. John H. Burton and Father Edward Kolla of Christ the Good Shepherd, Vineland. 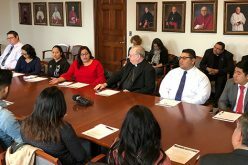 Pope Francis is calling on clergy to get out of the sacristy and into the marketplace and workplace in order to spread the joy of the Gospel. 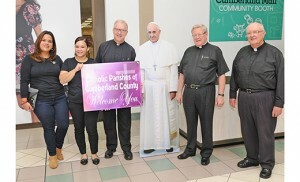 With this call in mind, the Catholic parishes of Cumberland County initiated a “Mall Ministry” at the Cumberland County Mall in Millville on Sept. 19. 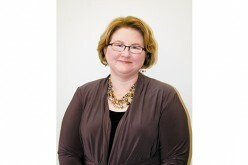 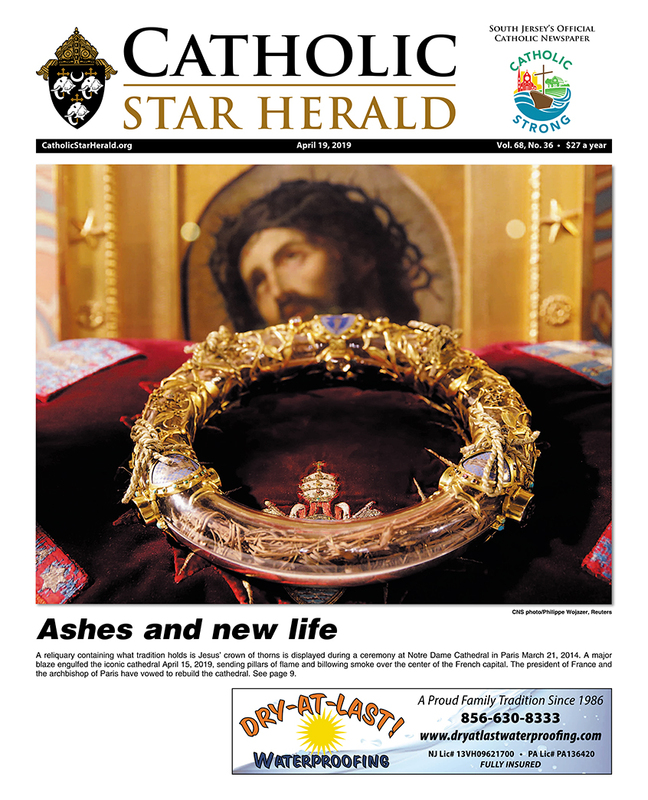 The parishes will work together in the formation of evangelizing teams to staff the mall’s community booth. 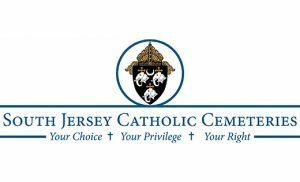 Participating parishes are Christ the Good Shepherd, Divine Mercy, and St. Padre Pio in Vineland, All Saints in Millville, and the Parish of the Holy Cross in Bridgeton.